Happy Friday! After a short week, it’s almost the weekend! Short weeks can be the hardest, and this one was a little rough. For me at least. But hey, it’s almost the weekend and I have something fun for y’all. Well, fun if you like to try new and exciting workouts! 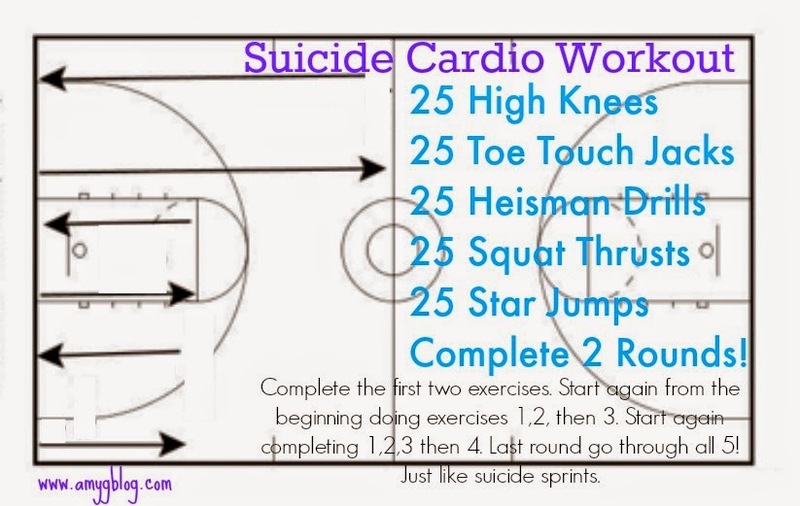 Do you remember having to run suicide sprints during gym or athletics in school? You know, you run to the closest point then back, then the to the next closest point and back. Then the the next and eventually you get to the furthest point and run back to the start? Well that’s what we’re doing, but with cardio drills! Start with the first drill, add on the second, then start from the beginning completing one, two then three! Keep going until you add them all in! Here’s a video of each of the exercises so you know what you’re doing! High Knees – 25 on each side, so count to 50 total! Heisman Drills – no ladder needed. Just step, step pause to one side and then step, step pause to the other. That’s 1! So there you have it! Go through the entire workout once and if you’re up for it, do it again! Questions? Shoot them this way! Let me know if you give it a try! 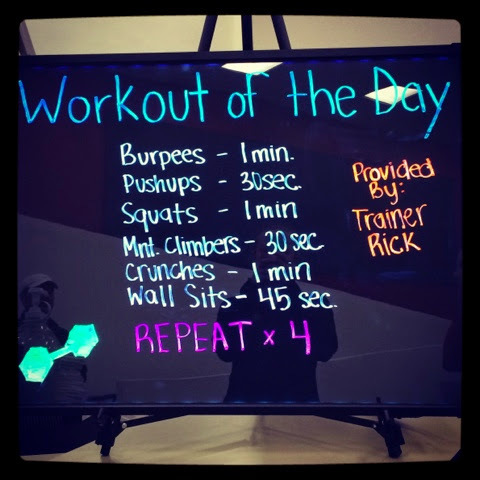 I had my strength zone class do this workout last week and it was a total hit. 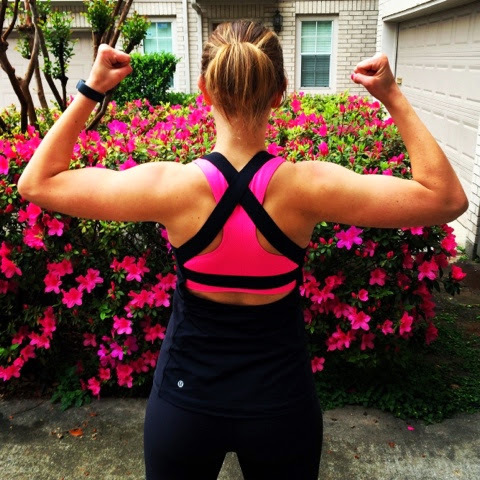 A little strength and a lot of cardio! So I’m not going to say too much and let the pictures do the talking. And trust me, there are a ton of pictures!!! 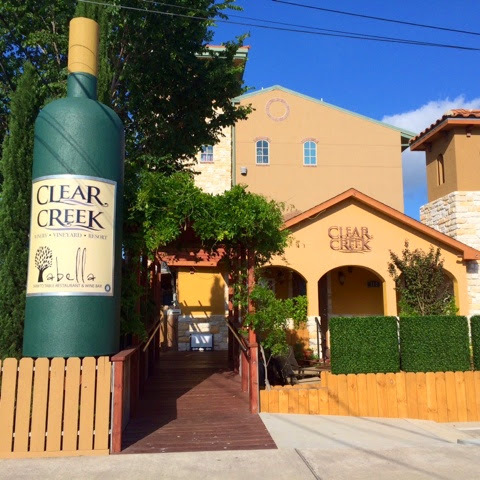 The rehearsal dinner was just a block away from the hotel where we were stay at a winery called Clear Creek. It was super cute and even had a little bed & breakfast you could stay at. Which is actually where Michael and Chandra stayed the night of their wedding! The food was delicious and wine was good, so we were all full and happy. 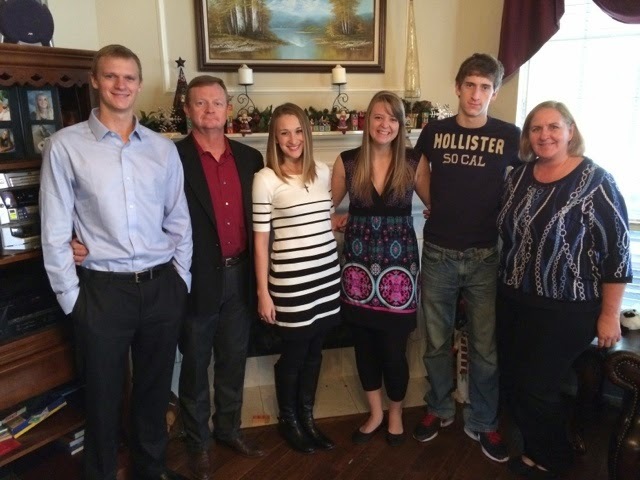 It was nice to meet all of their family members before the wedding. 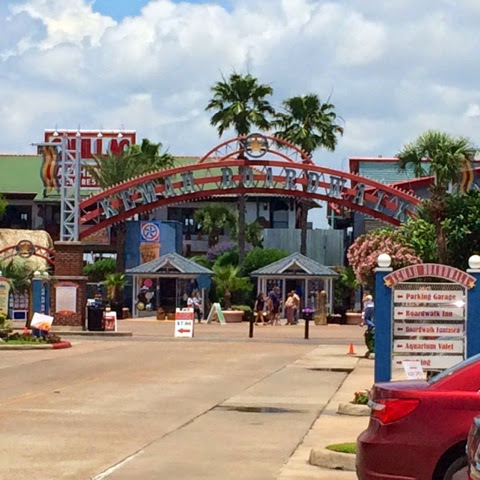 We all went out to one of the bars near the Kemah Boarkwalk afterwards! Chandra and I called it a night just before midnight because we had plans for the morning! 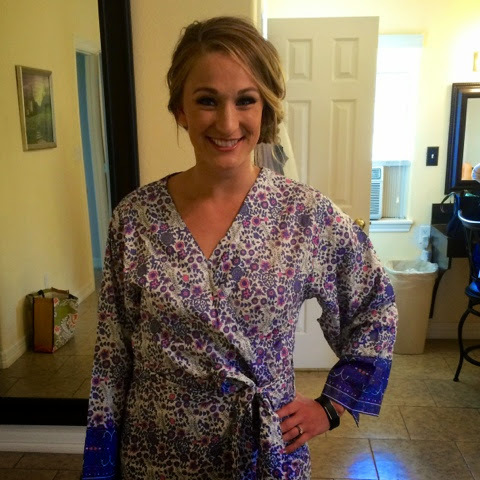 What do most brides do the morning of their wedding? Sleep in, get some coffee and chill? Not these girls. 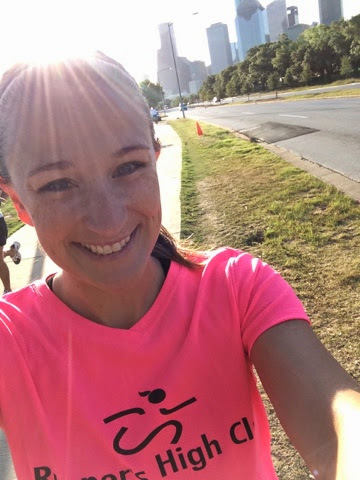 We were on the road by 7am and went out for a good 40 minute run. We tackled 4.25 miles which included a HUGE bridge. Don’t worry, we ended at Starbucks, so coffee and relaxation followed before it was time to head to the venue! 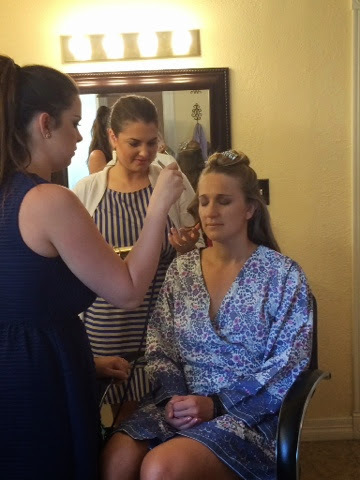 The venue had a cute little house for the bridal party to get ready in. 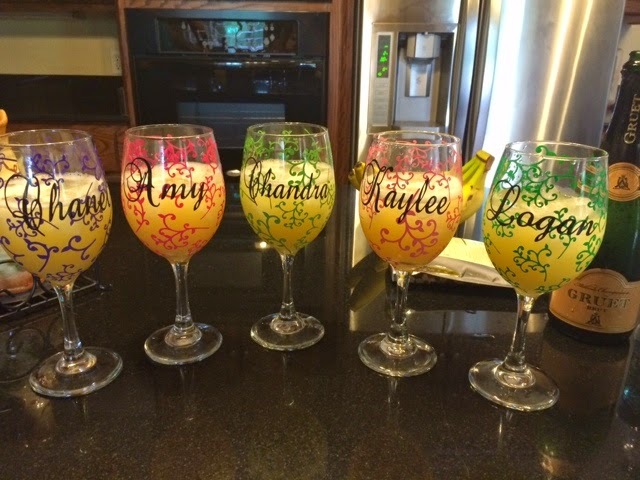 We immediately headed to the kitchen with our snacks and drinks and mimosas were poured in our cute glasses from Scraps of Love by Jen from Etsy! She has tons of cute things in her shop, check it out! Chandra got us the cutest robes to get ready in! She knows us well, since we all were obsessed with our own prints 🙂 Next was time to get all dolled up! I was first with the lovely ladies from Sun Kissed and Made Up. 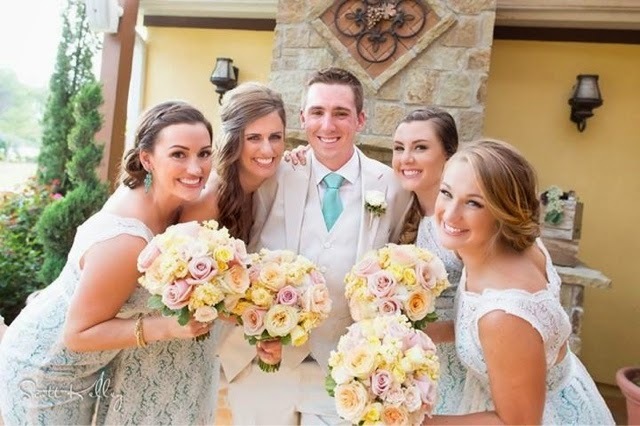 If y’all are having a wedding in Texas and need someone for hair and makeup, these are your girls. They work as a team, one doing hair and the other doing makeup. 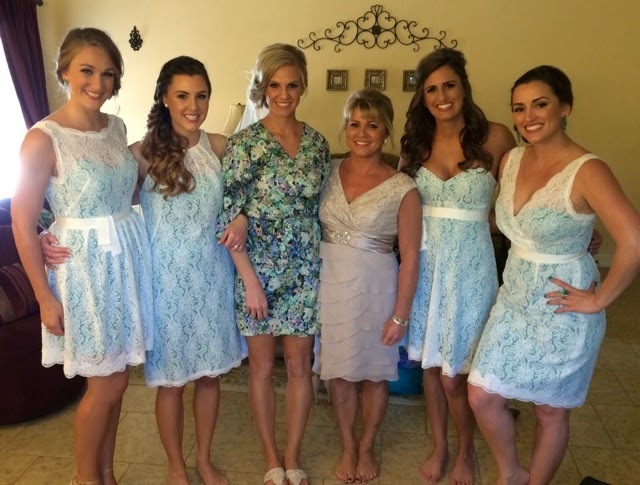 The are the sweetest girls, they pamper you and oh my goodness, they do an amazing job! Below I am getting dolled and below that is the final product! I don’t remember the last time I felt this beautiful!!! 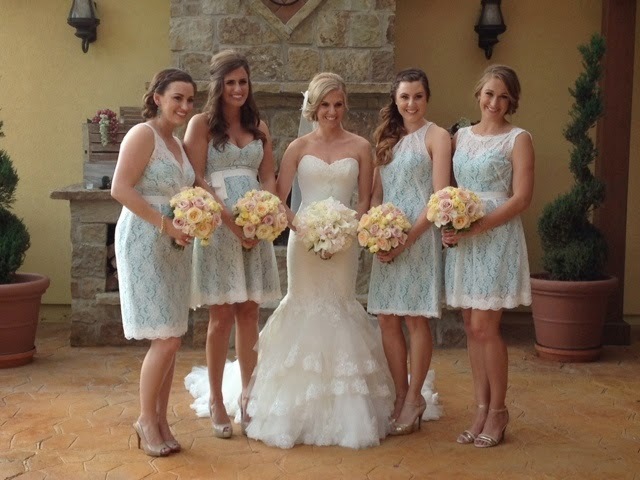 Sun Kissed and Made Up did a wonderful job on all 6 of us. 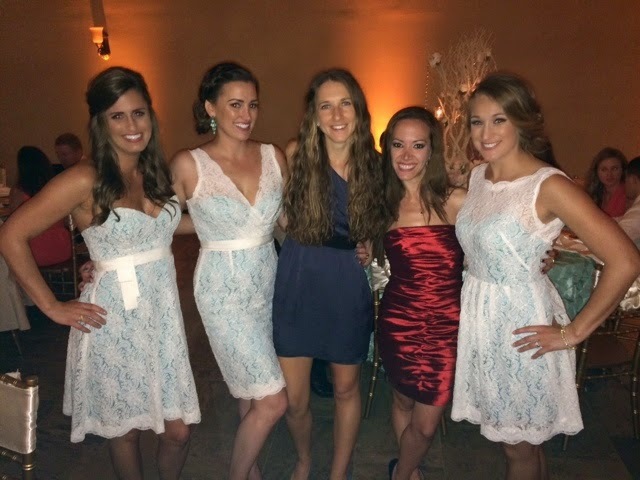 I may be biased, but that is a gorgeous group of women. Sorry guys, we’re all taken! 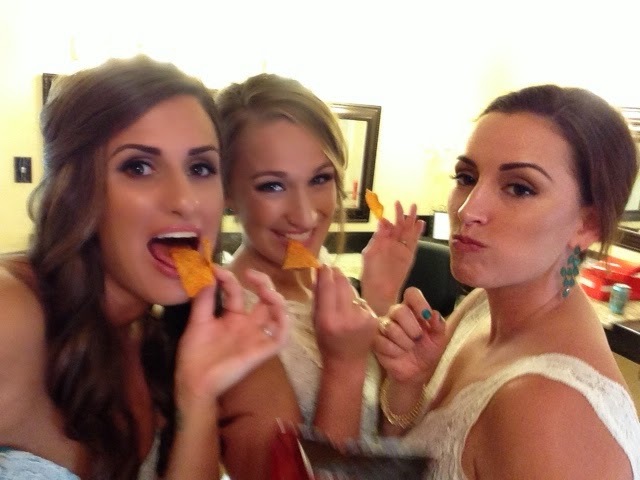 We snapped a few shots before the ceremony, then binged on Dorritos. Mimosas and Doritos, meal of champions! 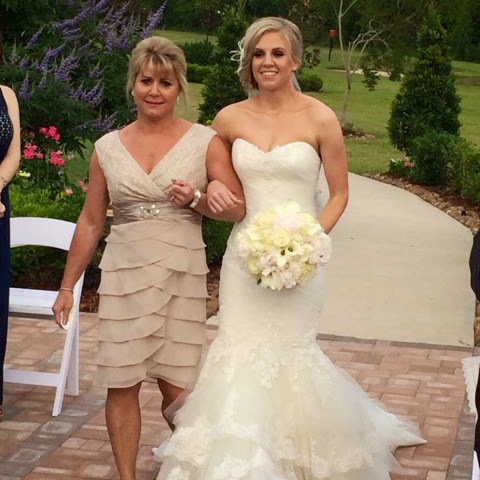 Chandra’s momma, Jacque walked her down the aisle and I’m sure many tears were shed. 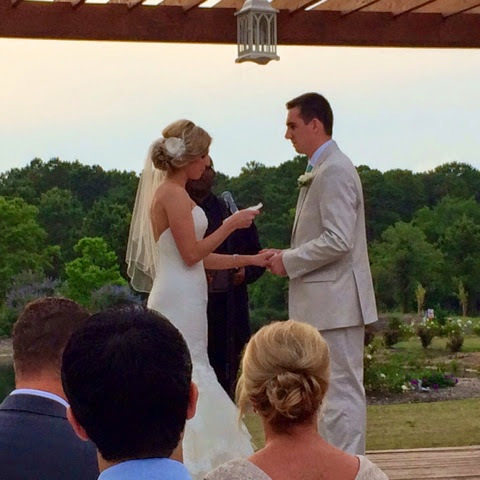 Chandra and Michael wrote their own vows. 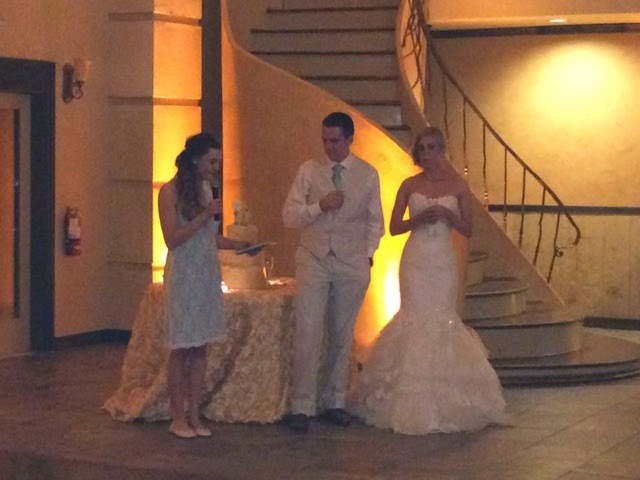 The thing that got me the most was that they both ended their vows with the same simple statement, “Thank you for marrying me.” So sweet and meaningful taking the time to thank your life partner. I just love it. Chandra is a creative genious. 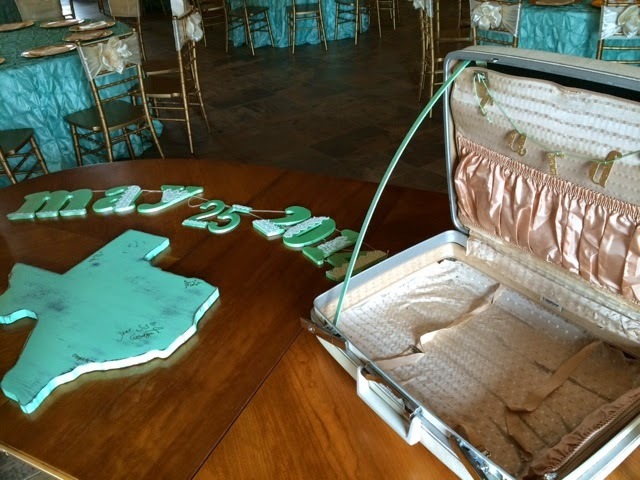 Most of the decor was actually created by her! 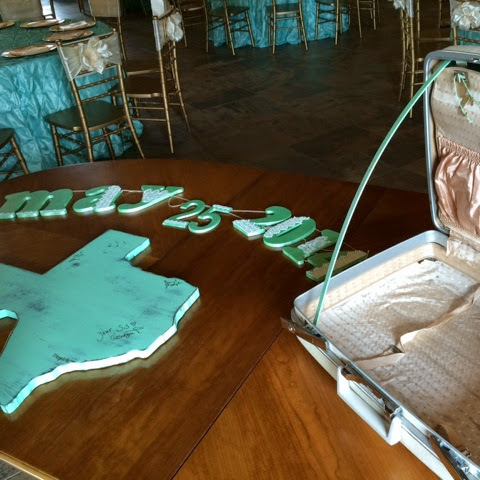 I loved the suitcase card box and the Texas shaped guest “book”! 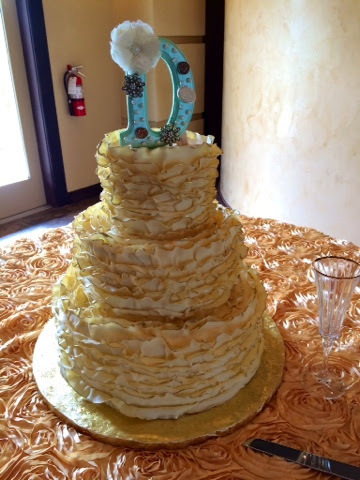 She also made the beautiful D seen on the cake topper below! 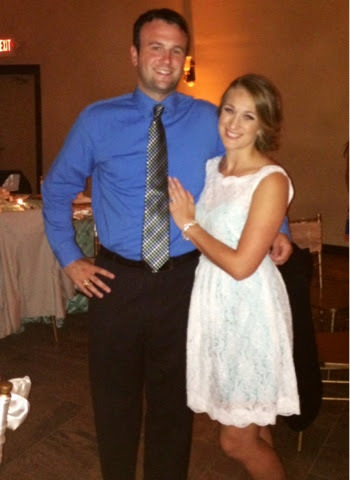 The reception was a blast. 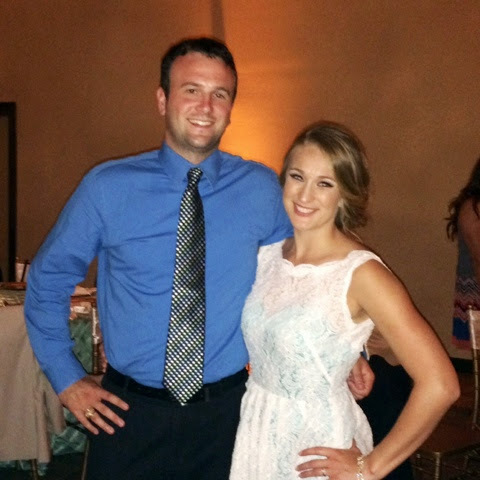 As usual, we danced the night away. We had a ton of fun, too much wine and a crazy good time. I would do it all over again in a heart beat! An amazing weeking, with amazing people. 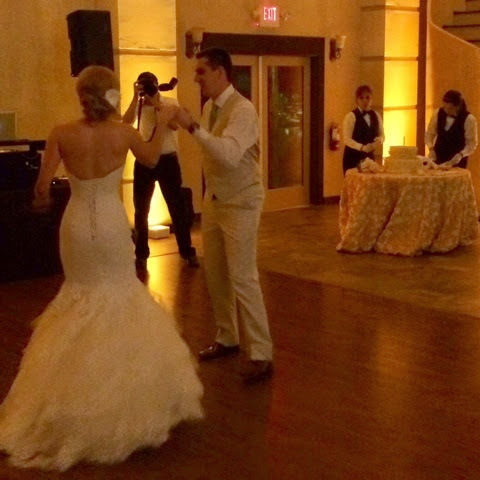 I can’t wait to see all of the photographer’s pictures! 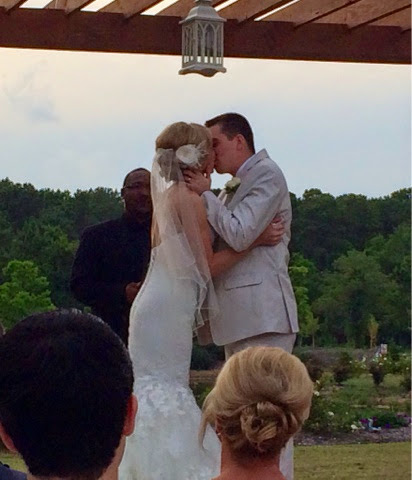 To Michael and Chandra, I love you both to pieces and was so blessed to be part of your day. Thank you both for loving me as a friend and opening your hearts to JP and I. We are so thankful for your friendship. I can’t wait to see where this journey of life takes us down the road! Monday has come and gone and Tuesday snuck up way too fast! We had an amazing and crazy weekend that I wouldn’t have any other way. 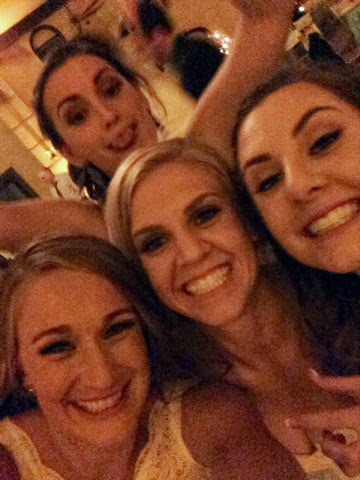 A full wedding recap will come later, but until then, here’s a peek at the wedding shenanigans! That’s all you get for now! Full recap with lots of details to come tomorrow!!! Happy Tuesday y’all! It’s a short week! 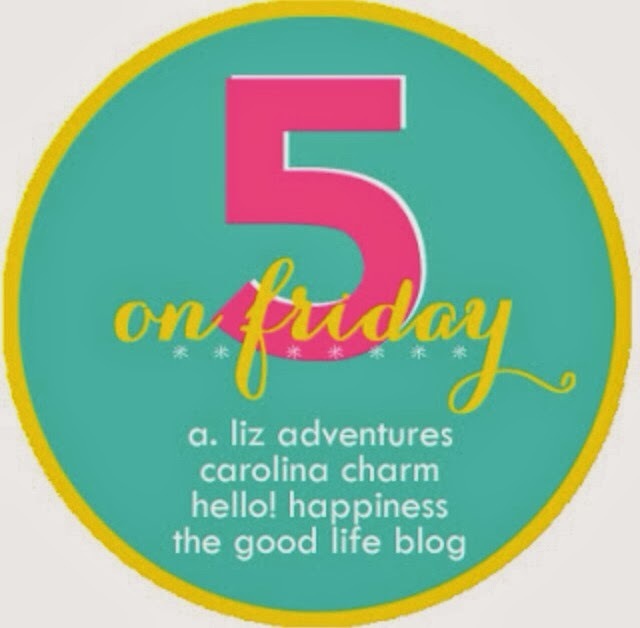 I’m really enjoying posting about my favorites each Friday morning, so I’m going to keep on, keeping on. 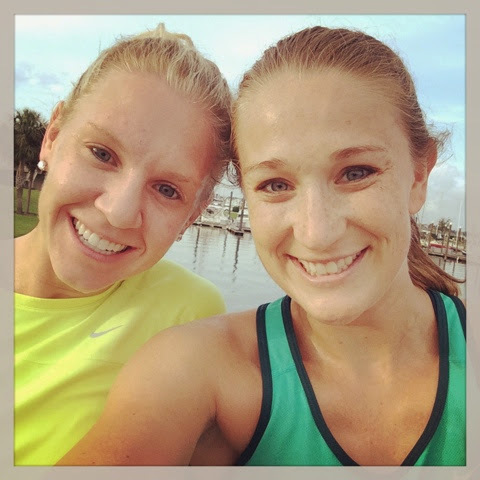 Here are some of my favorites from this week…besides the fact that it’s Friday! one. HIIT workouts. High intensity interval training. Quick, hard workouts that you get the most out of. Start off your Fitness Friday with this one! two. Next Step protein shakes. I received these in my Go Vox Box from Influenser and absolutely loved the vanilla. 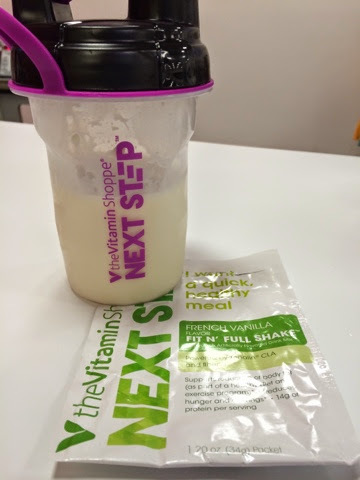 I’m pretty picky about protein and breakfast shakes, but this one tasted like ice cream. three. Friday mornings with my love. Fridays are the only mornings during the weekdays that I don’t have to be up before 4am and at work by 4:45. I love sleeping in on Fridays and hanging out with JP since he works from home on Fridays! More time together is always amazing. four. 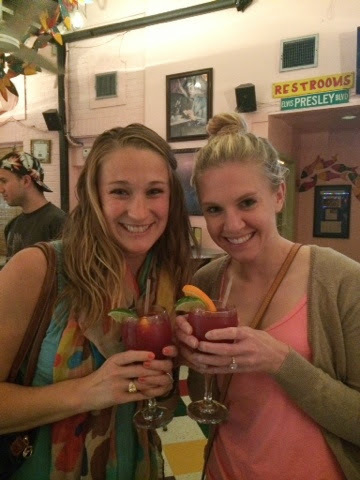 Mid-week girls nights! Especially when they involve healthy, delicious dinner, wine, Disney and my best friends! This week we had a mini celebration for Ashley’s birthday! Today is her birthday eve, so happy birthday to one of the best friends I could ask for. I still can’t believe we weren’t closer until after college, but clearly, this is just how it’s supposed to be. I love you bunches! five. Wedding excitement. 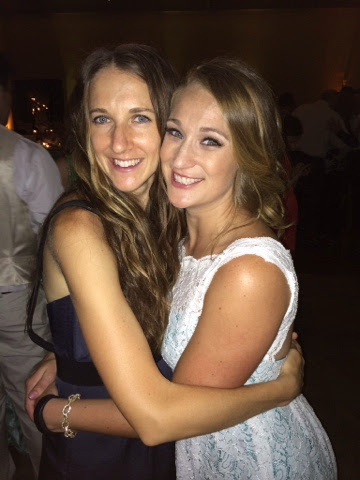 This amazing women is marrying the man on her dreams on Sunday. 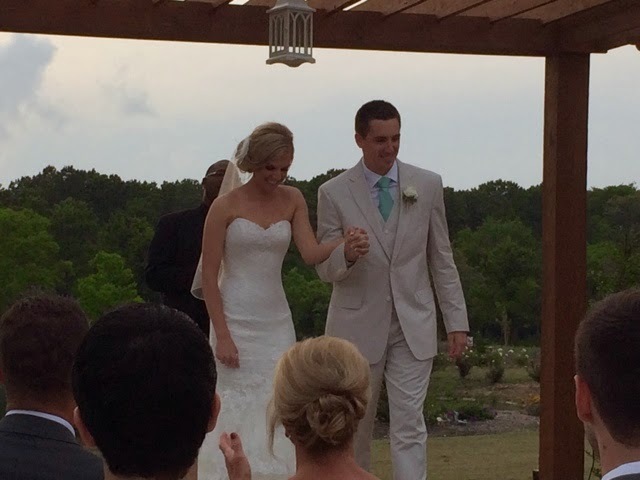 I am so honored to be a part of their big day and couldn’t be happier for Michael and Chandra! It’s such a blessing that two beautiful people were brought together 🙂 Let the wedding shenanigans begin tomorrow! What are your favorites from this week? Y’all have wonderful, safe weekends! I know that mine’s going to be amazing! Some days I feel like we live in a world with such negativity. Working at a health club, I naturally hear people go on about what they don’t like about themselves. In fact, people come to me with bits and pieces they don’t like about themselves trying to find a way to fix it. I decided that today I want to turn that around. It’s easy to nit pick ourselves. 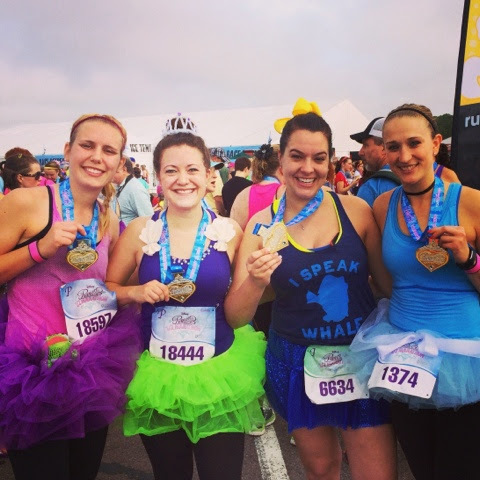 We’re the first ones to notice a blemish, an extra pound or any sort of negative attribute. But what if we all focus on what we like about ourselves? Don’t you think we’d all be a little bit happier? So here are 10 things I like about ME! My joy. I think, for the most part, I’m a happy person. I try to be positive and radiate joy. It’s hard to be joyful all the time, but most of the time, it’s so easy. I often have a childlike spirit which I blame on Disney. I believe that we each have so much to be joyful for including the fact that God has not only given us a new day each and every morning, but he gave us our Savior so we can live forever. If that’s not something to bring joy to each day, I don’t know what is. My drive. I’m a very determined individual. When I set my mind to something, I’m going to do it. That’s why I’m where I am in life. I love that I’m goal oriented and want to make things happen! My friendship. My friends are my everything. I see my friends as my extended family and when someone becomes my friend, I truly love them! I love pretty hard (see number 10). My ability to listen. As much of a talker as I am, I’m also a good listener. I love that people feel as though they can come to me with problems. As a personal trainer, some days I also play therapist by listening to people’s problems and helping them find themselves. My independence. As much as I love how my husband takes care of me, I am an independent women. I like to do things by myself. I like to know that I can provide for myself. I like being in charge of my life. My smile. Cheese. I like smiling. Smiling is my favorite. My hair. I love it. I like it long. I like it short. I like it straight or curly. Yup I just like it. My ability to love. I love hard and I love all the way. There is no in between. My husband, friends, family and dogs fill up my entire heart and soul. I would do anything or be anywhere for the ones I love. So there you have it. I will say it’s a little bit harder then you think to come up with 10 things and why! I’m as that I did though because it helps remind me that I’m just perfect with all of my imperfections! Now it’s your turn! In the comments, let me know something that you love about yourself! It’ll make you feel great. I promise. Monday is here. My head is finally feeling better. A new week is among us. And for whatever reason, I’m in a super good mood. Maybe it’s because I know I have a busy, but fun filled week ahead of me. 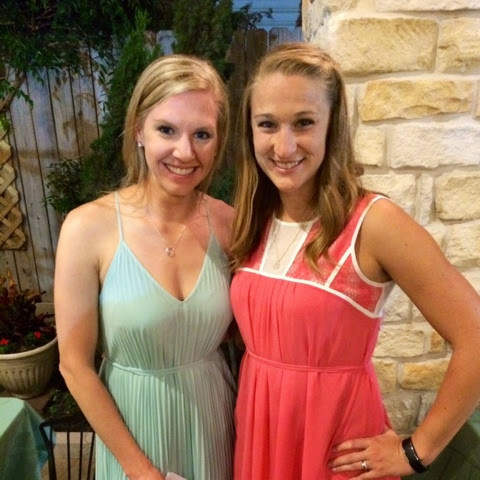 I mean, one of my best friends is GETTING MARRIED this weekend! 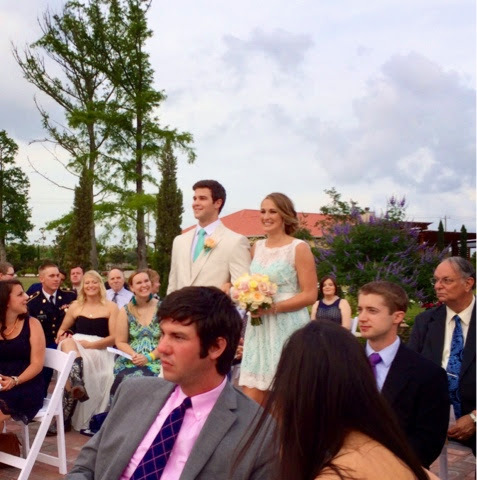 I’m so ready to celebrate Chandra and Michael, but we have lots to do before then! I’m jumping ahead of myself. As excited as I am about this weekend, let’s rewind to the amazing-ness that was this past weekend! Friday started just after lunch as the birthday boy and I took off to New Braunfels, TX for a weekend with some of our best friends. Sounds pretty awesome right? It was 🙂 We actually got into town just before 6:00pm, unloaded our stuff at the condo and headed into Gruene. 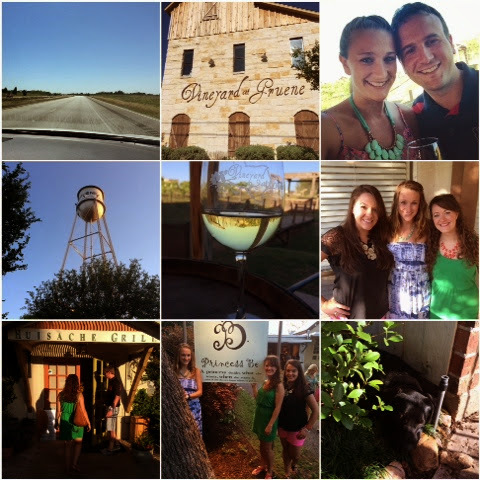 Our first stop was Vineyard at Gruene for a wine tasting followed by a glass on the patio. 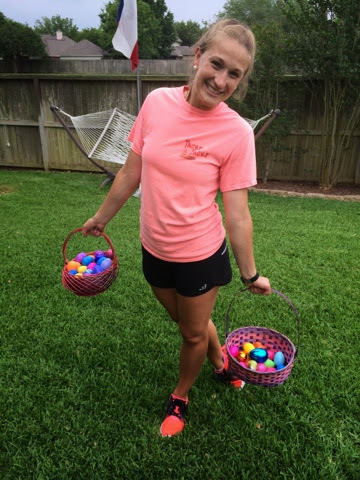 It was a picture perfect day and I was soaking up the gorgeous weather…we all know it’s going to be uncomfortably hot in southeast Texas before we know it! After enjoying the day, we decided to head just a little further into downtow Gruene for dinner at the Gristmill Restaurant which is an old cotton gin that burned down in the 1920’s. After dinner, we walked over to another winery for just one more glass while we waited on our friends to get into town! Once they were in town, we hit up downtown New Braunfels which was within walking distance of our condo to celebrate JPS’s birthday! three. Me and the birthday boy! eight. Had to have a picture with the princess store! Needless to say, Saturday morning we were moving a little slower than usual. But by 11am, we were ready to hit the river! Since it’s still early in the season, it wasn’t too hot or too crowded! 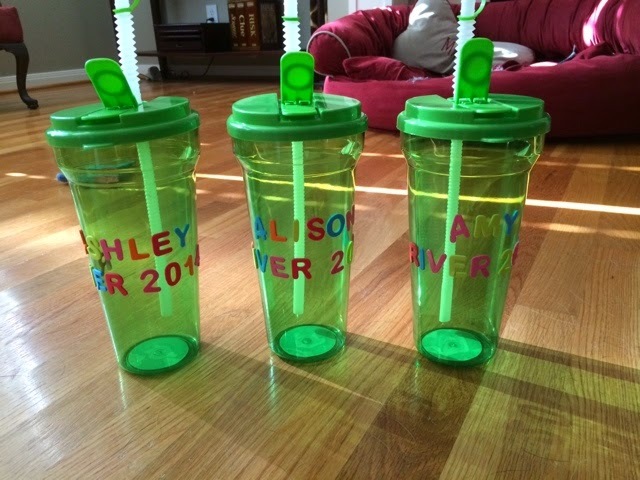 I made the girls some pretty sweet cups to make our float even better. Since water and iPhones don’t mix very well, we don’t have any pictures from the float 🙁 After floating, mini naps and showers, we went out for dinner Huisache Grill. The best part is that while we were waiting on our table, we were able to sit outside and walk around the little shops nearby. I was able to resist and not buy anything! Dinner was delicious and worth the wait. I had a delicious seafood salad with salmon and shrimp! 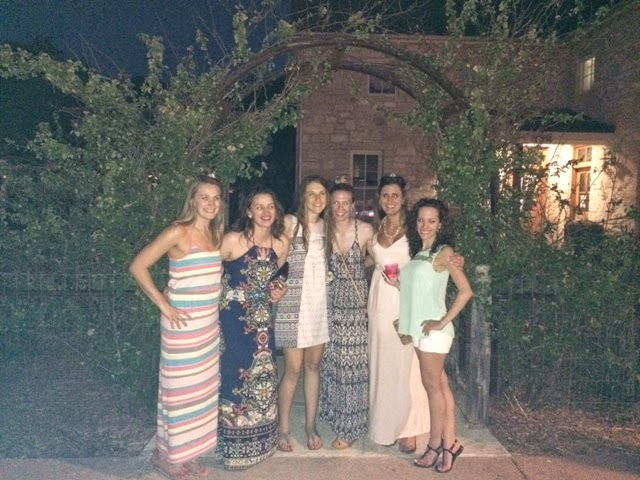 Dinner was followed by another night out in downtown New Braunfels. We went to a fun little bar with live music! An excellent end to another excellent day! Sunday morning we were up and at ’em to get the condo cleaned up and the cars packed. We went back into downtown Gruene for coffee and walking around the Sunday morning shops before lunch at Clear Springs Cafe. After lunch, it was time to go home. And by home, I mean my parents. The pups were there and so were my dad and brother, so we hung out with them and my dad grilled out for us! Perfect end to yet another perfect May weekend. I’m pretty sure this is the best May ever. I know it’s not over, but it’s going to just get better! This I know 🙂 Now I just need to figure out when our next river trip is! Somehow, someway, we made it to another Friday. Seeing as though I successfully gave myself a concussion on Tuesday, I’m pretty glad I made it to Friday. But no really, I got a concussion at work on Tuesday. It was bad and the past few days have been rough. So needless to say I’m pretty pumped about Friday! I saw an amazing deal on Groupon Goods a few weeks ago and had to jump on it! 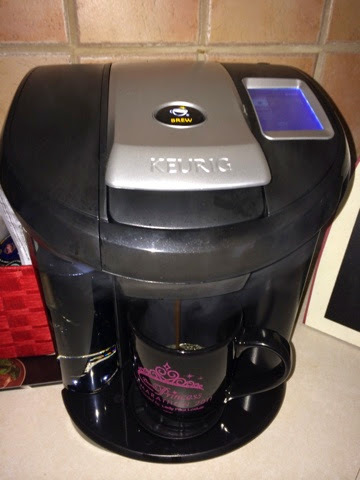 I’ve had my Keurig since my senior year of college and well, that was over 5 years ago, and it was on it’s way out. (Right Kristin?!?) I couldn’t pass up the opportunity to get the Vue and so far I love it! I’m excited to try out the latte and cappuccino function! 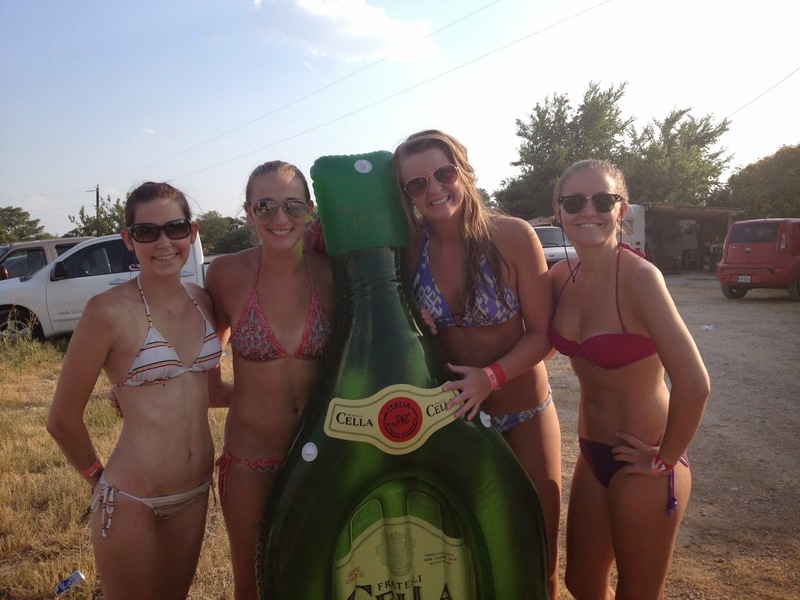 Floating the river in New Braunfels is one of my most favorite things to do every summer. It usually happens a few times and this weekend we’re kicking off the summer season and celebrating two super awesome people who’s birthday’s are over the next week! The girls at last year’s family float! three. Free SHOtime and Starz. JP successfully complained to AT&T Uverse when our rates went way up and we got free movie channels for the next three months! I’ve been able to record a bunch of movies we wanted to see or see again. So far, a few I’ve recorded Brave, Tangled, the last Twilight movie (don’t judge me), The Amazing Spiderman, some Narnia movies, and a bunch of others. Yay free movies! I’m obsessed. This isn’t a recent discovery by any means, but this is the perfect time of year to wear every maxi dress you own. You didn’t think that I would forget my amazing husband who rushed home from work on Tuesday to take care of his batter, bruised and completely out of it wife did you? JP has been amazing this week. He’s stayed home to take care of me, made sure I didn’t do anything stupid, pass out or die in my sleep. That’s love right there. Oh and did I mention, it’s his birthday!!! That’s right, my amazing husband is officially 28 years old. Which means I like him even more now seeing as though 28 is my favorite number! Yay! 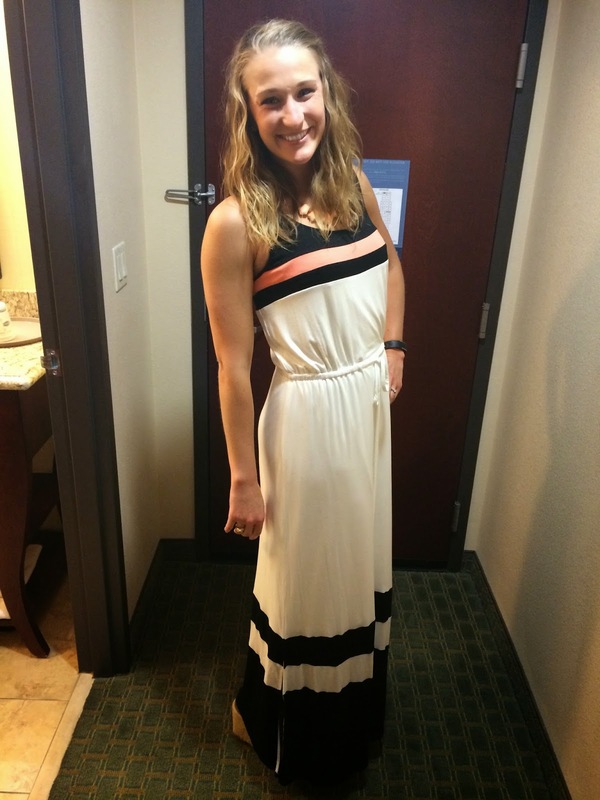 I love you babe and I’m ready to go celebrate with our amazing friends at the river! How did I get to lucky? Now to rest my head and prepare for the river! Have you ever had a concussion? Hi everyone! Today I have a special someone(thing) to introduce to you! Get excited! Drumroll please…..
….meet the BOSU balance trainer! I mentioned a few weeks ago that I absolutely love the BOSU. It’s true. I LOVE it! It’s so great for not only me, but my clients. BOSU (pronounced BO as in beau and Sue as in the female name) essentially stands for “both sides up” or “both sides utilized”. You can use the BOSU with the flat side down or even the dome side down. The dome portion of the BOSU is a half of a stability ball! The BOSU is all about balance training, enhancing flexibility, shaping your body and strengthening your mind. 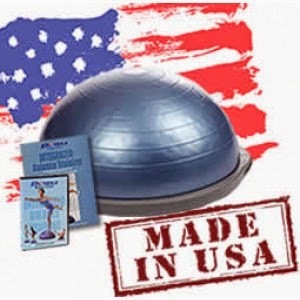 It is an excellent tool for strength, balance and cardio exercises. It’s pretty much awesome. Today I want to introduce y’all to a full body BOSU workout so you can walk over to that strange device at your gym and use it with pride! First things first, when you try the BOSU for the first time, introduce yourself. Get used to it. Understand the feel. I recommend placing the BOSU plastic (flat) side down and standing on top to understand the feel and how you’ll have to balance. Once you can stand with confidence, try a few squats on top. I promise that the more you use the BOSU, the better you’ll get at using it! Use the videos above to see how to perform each exercise! Give it a try and let me know what you think! The BOSU is so fun and a great new way to change up your workouts! Have you ever tried the BOSU trainer before? 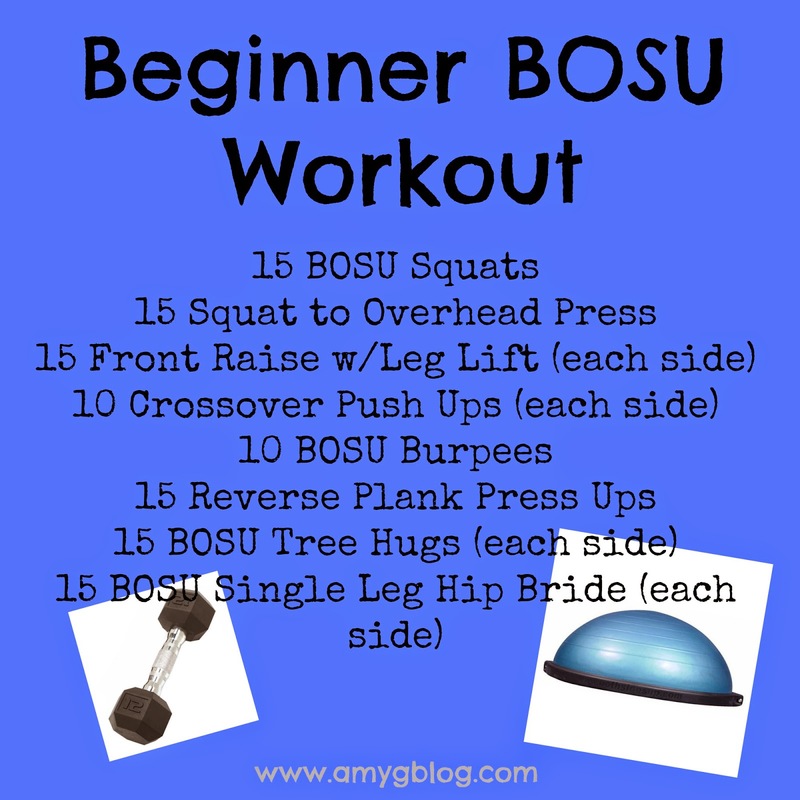 What’s your favorite BOSU exercise? Guess what? It’s pouring here in Texas. Pretty much, the radar has green or yellow covering most of the state. Not sure if you know this, but Texas is kind of big. Or so I hear 🙂 The yucky weather had me thinking, why do people always say, rain, rain go away? We need the rain here that’s for sure. Not to mention, there are so many other things that make rain great. 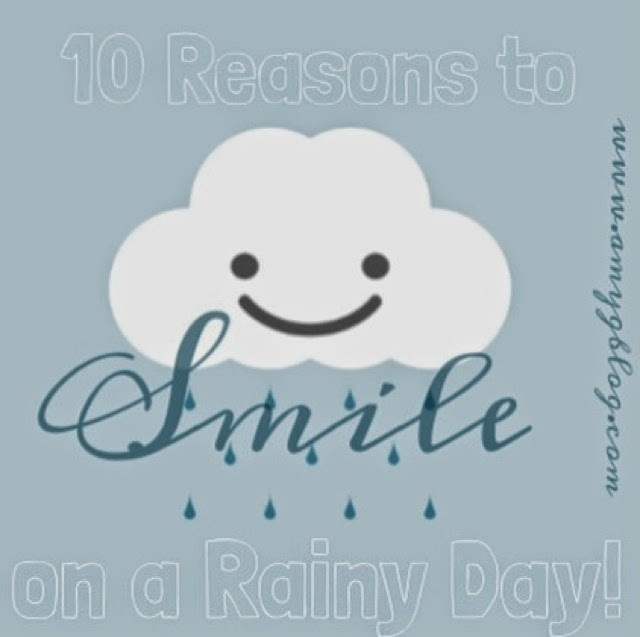 I think we should smile when it’s raining, not frown! 1. You get to wear rain boots! Not only are they cute and stylish, but completely functional on rainy days. 2. When wearing said rain boots, you can jump in puddles. Just do it. you won’t regret it. It will make your heart happy and you won’t be able to do anything but smile! You may get a little wet but it’s completely worth it! 3. For my fellow nerds out there, rainy days are the perfect days to cuddle up on the couch and read! There’s nothing quite as soothing as rainy on the window while engulfed in a good book. 4. Don’t read? Rainy days are also great for catching up on you DVR or taking a nap! 5. You can spend some time in the kitchen! Bake some cookies or banana bread or whatever your tummy fancies. You could also make a date out of it and whip up a nice dinner with your someone special. It’s not like there are many other places you need to be! 6. Your lawn is probably pretty happy right now, so smile! You don’t have to water your lawn! 7. You probably don’t want to be outside, so you have the chance to get things done inside. Try to get something done you usually wouldn’t and you’ll be so glad you did. 8. Bubble baths. Enough said. 10. God made rain for a reason. It is a gift from him to us. It helps our grass grown. It fills our lakes and rivers. It makes the world a better place. SO SMILE! This weekend we amazing, exhausting and full of fun! 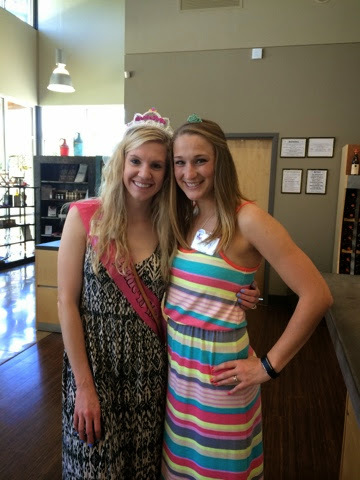 This weekend we celebrated Chandra and her upcoming nuptials at her bachelorette party! 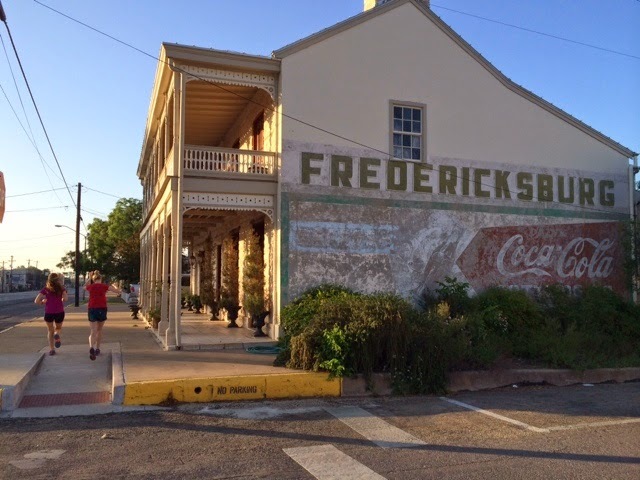 We traveled from Houston to the quaint, little town of Fredericksburg for a weekend in Texas wine country! We took off late Friday afternoon and pit stopped for dinner in Austin! Traffic was nuts but it’s nothing a little Mexican food can’t cure. 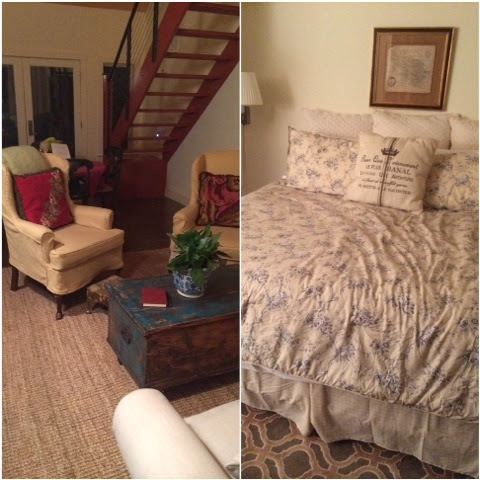 We ended up getting to our adorable bed and breakfast around 10:45pm. Enough time to explore, unpack and unwind before bed. Saturday morning Chandra, Melanie and I went out on a 40 minute run down Main Street. It was so cute and a great way to explore the town before the shops were even open. 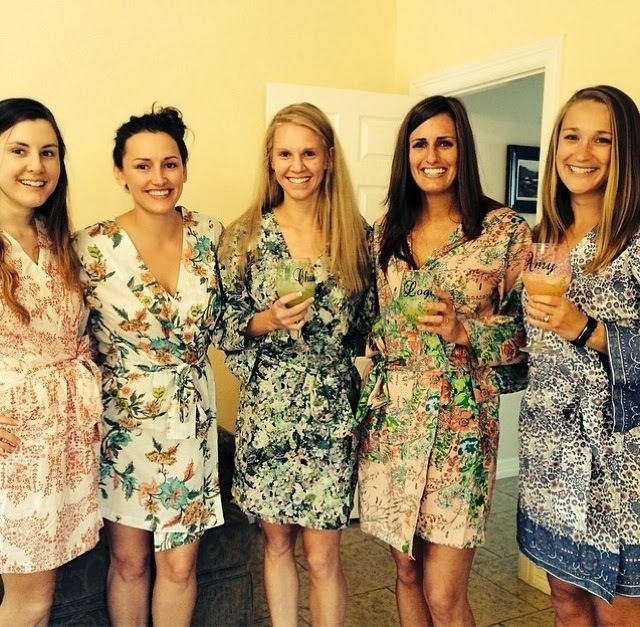 By 10:30am we were all ready to go with mimosas in hand. 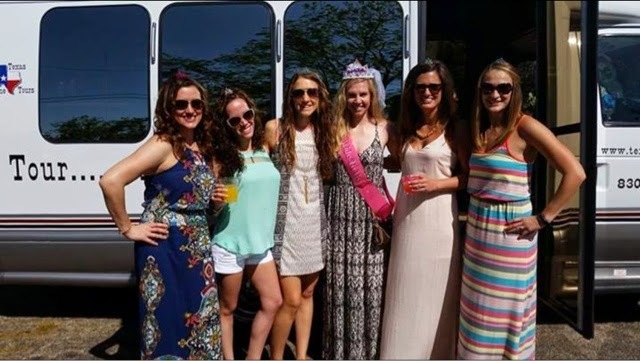 We took a party bus all day wine tour! First stop was 4.0 Winery. The wine was delicious and they had tasty olive oil and balsamic vinegar to try. Several of us ended up purchasing the olive oil since it was so good! 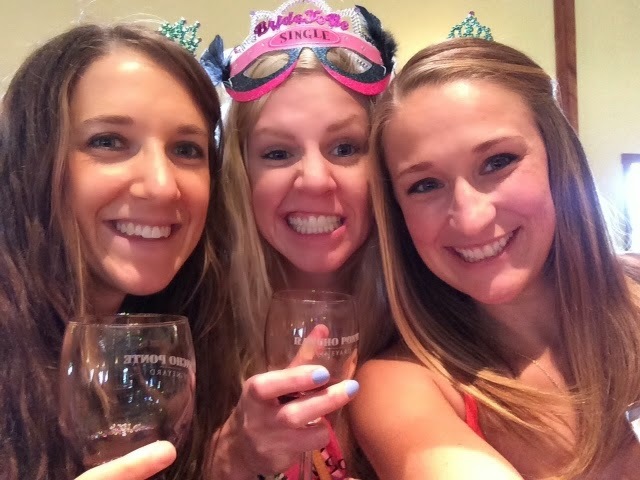 Next stop…Rancho Pointe Vineyards! We even got to keep our wine glasses here! After stop number two, we headed back into town for a nice lunch. I’ll admit, it killed our buzz a little and we were starting to get sleepy on the drive back out to winery number 3! Hye Meadow Winery was third on our tour. 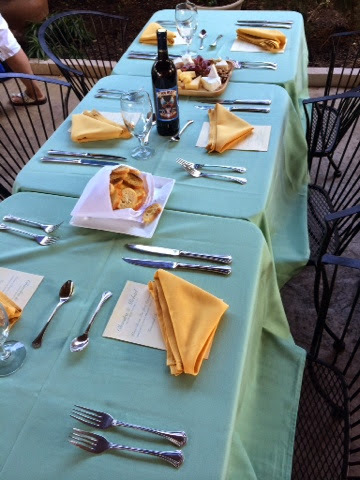 Here we were able to sit at a table outside where we were served all of our tastings! There was also a live musician! We had a few chats with him, helped him come up with some new songs and I even ended up being his music stand. (We asked him to play Journey and he didn’t know the chords, so I was holding it up on his phone.) We spent a good amount of time there enjoying the scenery and pretty day! 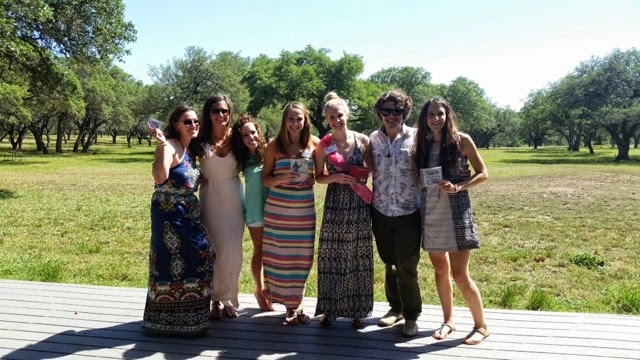 Stop 4 was Pedernales which is actually one of the wineries I toured back in 2010 when I did a Fredericksburg wine tour! It was just as great as I remembered it! The view was beautiful, the wine was delicious and service was amazing. We even got our own personal tasting room! VIP service right there. This was a quick stop since we had spent so much time at our 3rd winery! 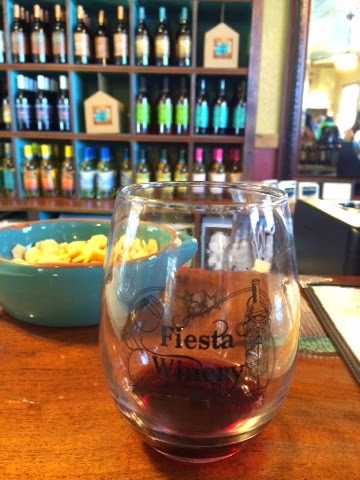 Our last and final stop was Fiesta Winery! Thsi was a good ending to our tour. It wasn’t as crowded as the last few and we had full attention from their staff. The wine was tasty and they had a lot of really sweet options. Great to try, but a full glass would be so sweet! I did end up buying a bottle of Tempernillo from there though! And again, we got to keep the glass…score! After the 5th winery, it was time to head back to our B&B. Lingerie party shennanigans began with continued wine drinking. (Sorry, those pictures are for our eyes only!) Before we knew it, it was 9pm and we were walking to Main Street for some more fun! This is the last decent picutre of the night. Somehow, some way, we still managed to stay out until midnight despite starting our day drinking at 10:30am and a little drama towards the end. What’s a girls weekend with out a little drama right? We had a blast and danced around like absolute fools. I wish we had video, but it’s probably best for all of us that nothing was documented past 9pm! We had a wonderful weekend with the most perfect weather. 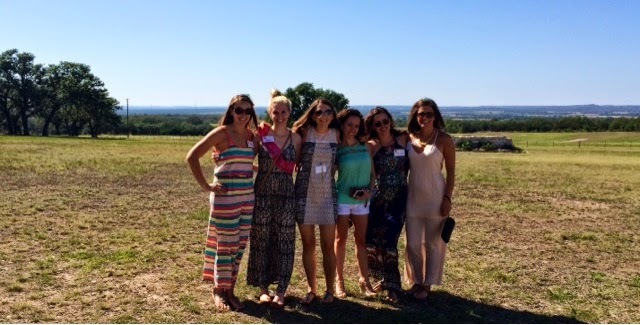 I hope that Chandra had as much fun for her bachelorette weekend as I did! 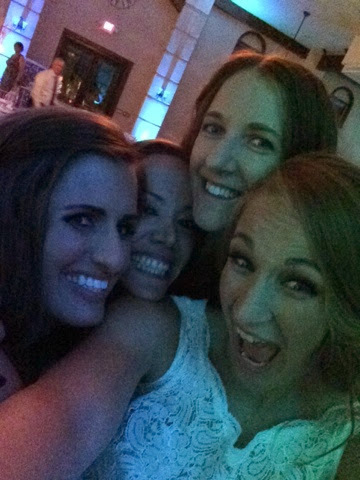 Such a blast 🙂 Now let the wedding shenannigans begin! T minus 13 days!! !